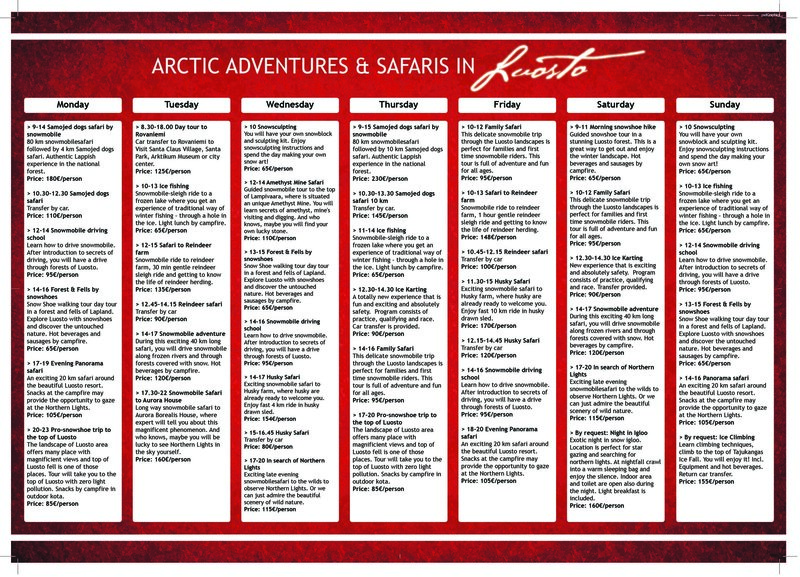 Adventures in Luosto provides accommodation, safaris and catering across three resorts of Finnish Lapland throughout the year. 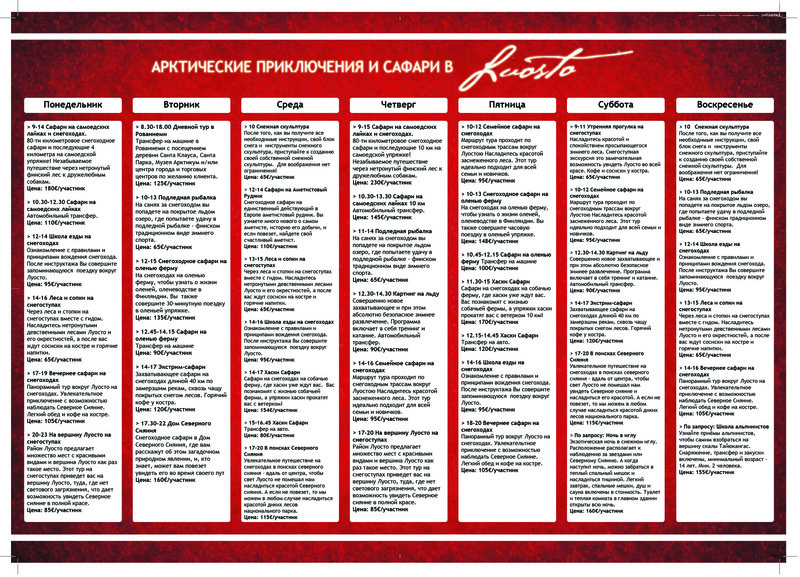 - year-round throughout our locations in Luosto, Sodankylä and Suomu. In Luosto we specialaize in taylor made extended snowmobile safaris and searches for the real Santa Claus. The resort of Suomu provides a tranquil and ideal place to search for the Northern Lights, whilst Sodankylä is interesting to explore and learn the history of the region and its struggles for independence over the past century. 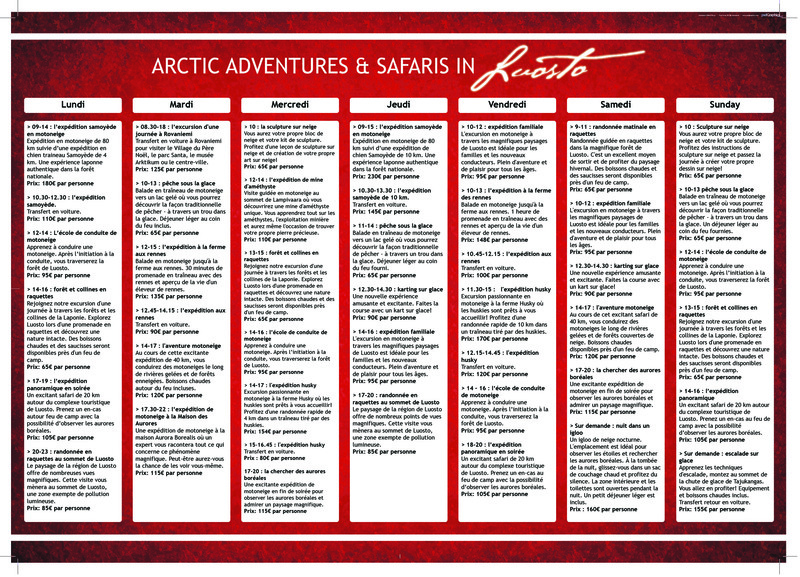 For those, who want to explore Lapland even further, Adventures In Luosto Safarihouse offer a selection of winter and summer safaris available on request. 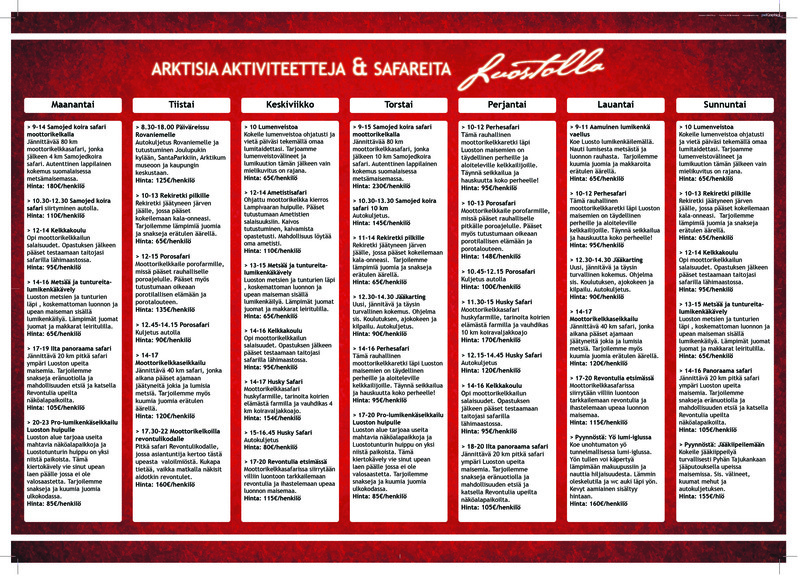 Our professional and friendly staff welcomes you to enjoy the arctic experiences Lapland has to offer! 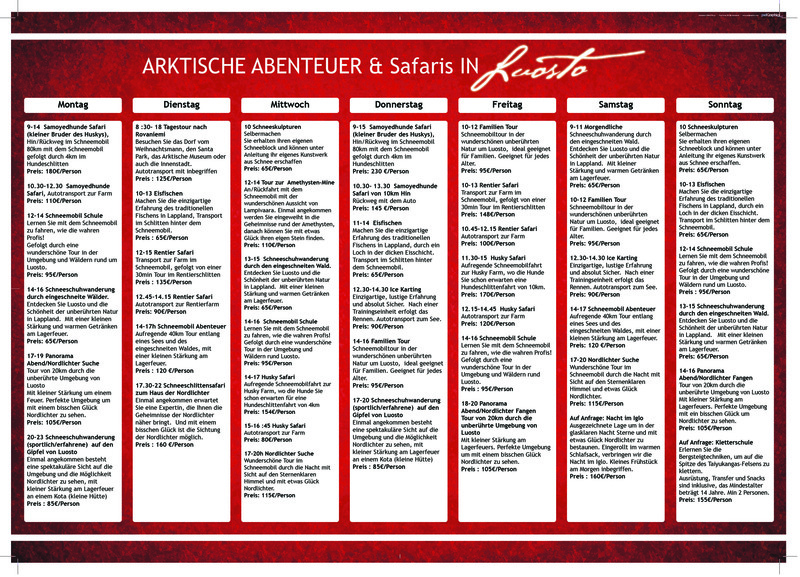 The following activities are available for tours: Magical Moments, Magical Interlude and Christmas In Luosto.